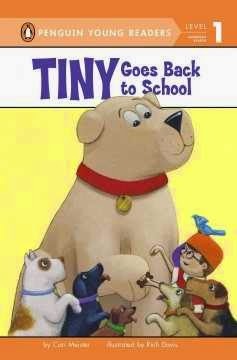 This book continues the trend of rewriting or expanding popular picture book series into easy readers. Miss Bindergarten's alphabetical and colorful kindergarten adventures would have made no sense as an easy reader back when they were originally written, but now that many schools and parents are pushing kids to read at ages 4 and 5, there's definitely a market for them. 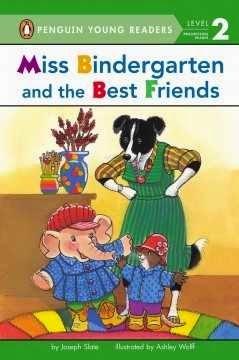 This story features two of Miss Bindergarten's students, Emily the elephant and Vicky the...muskrat? I'm going with muskrat. Each day they find more and more things that match; on the first day they wear blue coats, on the next yellow boots, etc. Miss Bindergarten remarks that they look like twins and the two happily proclaim that they are, indeed twins. When some of their classmates point out all their physical differences, they admit that they are not twins; but they are best friends! Wolff's illustrations, like the picture books, feature a plethora of bright, cheerful colors and patterns. I think she did a really good job of simplifying the illustrations for the easy readers, since the books tend to be rather crowded in that respect (not the kind of classroom I'd personally like to work in, but a lot of teachers do have a similar design). Penguin's level 2 readers are rather easier than some publisher's, and suitable for a strong, beginning reader. It's not unrealistic to expect some five year olds to be at this point, although they will probably be in the minority. Older readers will probably find the art and storyline a little too young for them. Verdict: This is a colorful, simple book that nicely blends a message about friendship and differences with the concept of same and different. It's not likely to find a really broad audience, due to the combination of a slightly more complex text and younger plot-line and setting, but if you have a lot of fans of the series and/or a population of very young, strong readers, it would be a good purchase. One of the sections very much in need of updates in our nonfiction is the craft/activity area. I've looked at a lot of different party books before settling on reviewing these. I'm not 100% we really need party planning books, as it's not something I've been asked for much, if at all, but I saw a lot of positive mentions of this series from other librarians. 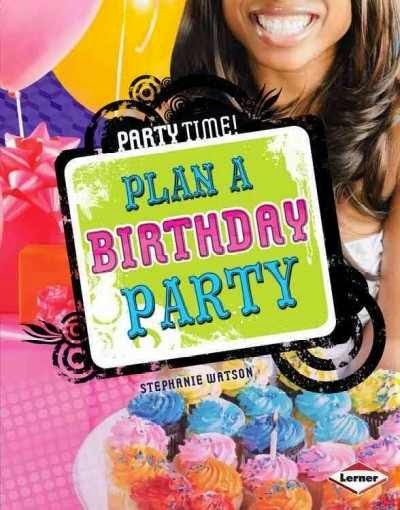 There are four books in the series, but I only looked at two: Plan a Birthday Party and Plan a Sleepover Party. Both include step by step instructions for planning, including a checklist, reminders on how to invite your friends without making other people feel bad, lots of suggestions for themes, decorations, and food, and, of course, reminders on cleaning up afterwards. There are also reminders of party etiquette. One, in Birthday Party was really weird - it suggested that you practice open presents and saying thank you. That really didn't seem to fit with the audience for these books, which is tweens. Additional resources and a brief index are included at the back of the book. Each book features a few boys and a diverse group of girls. The party themes are also diverse, including sports, outdoor, makeover, and more. One of the things I really appreciated about this series, and that moves it to the top of my list, is that the majority of the activities, decorations, and food are low-cost. Alternatives to more expensive options are suggested and kids planning a party with a small to zero budget will find plenty of options here. So many party books I've looked at are ridiculous in what they expect kids to be able to spend, but this is quite reasonable, making the books accessible to a wide variety of kids. Verdict: These are only available in library bound and cost about $20 apiece but while I'd prefer paperback versions, these are so well-done that I think they're worth the extra money since they'll appeal to a wide variety of ages, interests and budgets. Recommended. I'm really glad I cut back on my regular outreach visits a little this month. I did all of my off-site outreach this week and then next week kids are coming to me. The eggs for hatching arrived this week, and we were closed on Friday for staff development. Also, simultaneous pollen allergies and snow are RIDICULOUS. Success story! One of the 4K kids I visited came to the library that afternoon - his mom said he insisted on visiting the library and seeing where I worked and he got a library card. We were closed on Friday for staff development and Jess, my associate, came up with a very snazzy idea for organizing the board books better. I shifted the ya graphic novels (not the manga, just the comics) so the new stuff was lower down and more accessible. Finished going through all the easy readers on my desk. Nonfiction sent back to be relabeled, etc. There are only about 50 titles left, waiting to be returned. Processed all the new books - new stickers, loaded to Pinterest, saved on a cart for summer visits and checking out at the library camp out. Worked on setting up shelves and organizing in the basement. This is not a fun job. Take Home Storytime: What's hatching? Looking for Pigeon books - all checked out. Goodnight, goodnight construction site - checked out. I gave them Elephant and Piggie and showed them the construction neighborhood. Also wanted Curious George which I actually had. Minecraft requests are ramping up again. The description of this sounded very alluring to me - an eccentric lady takes in daughters of Very Busy Parents and they go on wild adventures. Unfortunately, I didn't feel that the book lived up to the hype, although a lot of other people have liked it, so it may just be me. 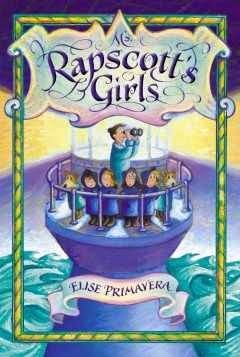 Five girls are mailed to Ms. Rapscott's school (their parents are far too busy to actually take them there) and arrive in the middle of an exciting storm. Unfortunately, one girl, Dahlia, gets lost along the way so the girls' first lesson is going to be finding Dahlia. Under Ms. Rapscott's tutelage they get Lost on Purpose and while they may not learn conventional lessons, they do find out things about themselves they never knew, as well as important life lessons. I did like the humorous illustrations, some full-page, showing the girls' various adventures. The characterizations of the girls were funny and interesting, differentiating them without turning them into stereotypes. It was really enjoyable to watch how the girls grew into themselves and changed throughout their wacky adventures. I think, ultimately, I wanted a more clear-cut plot than this offered. The girls go on "adventures" that are really just wandering around, things magically change or they find themselves back at home, and then it's on to another lesson or adventure. I wanted a more linear story and would probably be a very bad pupil at Ms. Rapscott's school. Verdict: Will kids like this? Well, those looking for a funny adventure story about kids at school will probably be disappointed. Those who like more kooky, nonsensical-type stories, possibly fans of Series of Unfortunate Events, will probably really enjoy this. The art is attractive and kids are often not as wedded to the idea of linear story as adults are (or this adult anyways). So, it wasn't for me and I'd find it difficult to booktalk or recommend it, but if you have kids who are fans of the particular type of nonsense British authors often seem to produce, this will probably be a hit (and no, the author is not British but this felt very, very British to me). Penguin rebranded its easy readers some time ago; I find it rather confusing to figure out if it's a new title or a reissued one. Also, why can't publishers coordinate their colors for levels? Or their levels, for that matter? Tiny's unnamed owner tries to show off Tiny's obedience skills, but it looks like Tiny definitely needs to go back to school. When they arrive, Tiny's enthusiasm for the other dogs gets him into trouble. Then the teacher arrives, with a large bag of treats. Tiny quickly remembers all his tricks and teaches the other dogs. The illustrations didn't really grab me. I do appreciate that they're large spot illustrations set in white space, which makes it a lot easier to locate the text. The text is set predominantly on the left lower corner of the spreads, with an additional few words or short sentence on the right. The pictures just felt kind of bland, not really memorable or integrated with the text. Verdict: Acceptable filler, especially if you have kids who like dogs. Not a stand-out, but an easy reader collection needs a lot of these solid, mid-range fare for the kids to work their way through. This is a gross book. I'm just gonna lay it out there. I successfully put at least two people off their food by describing it during breakfast. Six brief chapters (2-4 pages each) address a number of different science experiments performed on animals. These include cats who glow in the dark, dogs with second heads grafted on, goats with DNA altered to create silk-like proteins in their milk, pigs with genes altered to make their poop more environmentally safe, growth hormones in salmon, breeding species like Beefalo and Zorse, and cloned animals. A glossary is included in each chapter, defining 2-3 words every few pages. Facts and captions are also included in the text. All of the glossary words are collected at the back and there are three titles suggested for further reading and a link to the publisher's website to find websites related to the book. There is also a brief index. This is part of a "Scary Science" series, which is a sub-set of the larger Fact Finders series. The books are aimed at a roughly grades 3-4, although other review sources suggest it for ages 9 to 11. The book is formatted like an 8x8 picture book and heavily sprinkled with provocative and gross photos. The main thing that bothered me was the only mention of any controversy over the animal experiments featured was a small caption mentioning that some people had ethical concerns over cloning. Verdict: This is available either in paperback ($5) or library binding ($20). It's very light on sources and is obviously aimed to shock and titillate. That's not necessarily a bad thing, and it would probably circulate well and might get some kids interested in pursuing the subject further, but it's not what I'm looking for to improve my nonfiction collection right now in the area of science. Also, the layout would be a hard sell. Kids old enough for the content are going to be reluctant to pick up a book that looks like a picture book or easy reader. This year I've been trying to get my programming to a more manageable level. I made goals, I revamped the summer reading program, and this is what I planned for the summer. One change I made is that summer will now run from when school ends, June 5, to August 1. In the past we've gone a week or two into August, but no more. Programs won't resume until a week after Labor Day (school starts the day after Labor Day). Of course there's Summer Reading - three programs for 0-3, 3-12, and 6th grade and up. Sign up for summer reading begins after Memorial Day, but kids can't actually get anything until the second week of June. Morning - Pattie does Playgroup, Jess is at the desk, 1 aide helps Pattie and 1 helps Jess as needed. Afternoon - This is normally my off-desk time, but I will back up Jess and give her breaks as needed. I cover the desk all day, 1 aide is scheduled to give me a break for lunch. This is the day I told local schools they could bring groups to the library. They don't get a program (they can come on Tuesday for that) but I will be able to help them find books and sign up for summer reading. Morning - 1 aide does summer reading until I come in at 10 and cover the desk. Pattie does Books 'n' Babies. Afternoon - Jess covers the desk, I go on the main information desk from 12-2 and then do after school clubs with 2 aides scheduled to help. Morning - 1 aide does summer reading while I do either Go Go Garden with Pattie or We Explore Favorite Artists on my own. One Friday is the big field trip for summer school kindergarteners, Pattie and 2 aides will help me that day. Afternoon - I will cover the desk. We're kicking off with a camp-out June 5th, Jess, 1 aide, and my director are helping me run it. Pattie and I are running a Safety Shower on kick-off day, June 6. The week ending in July 4th we only have two programs - a Toddler Drive-In on Tuesday afternoon and Stuffed Animal Sleepover for which people can drop their animals off on Thursday. 1 aide and myself and possibly some (carefully selected) teens are going to take the pictures on Friday while we're closed. August 1 we're having The Big Splash to end summer reading and programs. Both Jess and I will be on desk for about 20 hours a week each. Some unpredictable things - the local pool will be reopening this summer. Summer school schedules have been changed around this year. Who knows what will happen? I have $500 to purchase additional books for summer reading - I'm buying extra copies of the titles we can't keep on the shelves (Wimpy Kid, Dork Diaries, Smile, etc.) but I'm still kind of worried about having enough books. Last summer, especially when the big school visited, I had trouble finding enough books for everyone to checkout something they wanted and I'm already dealing with emptied shelves due to the popularity of the new Neighborhoods. came to the under the sea party. Digging in the "sand" for shells. April is always a stressful month. I tend to get sick a lot in April, which can go either way - it's stressful because I get sick or I get sick because I'm stressed. This year I'm determined to handle it and not just survive, miserably, until Mid-May. Summer aside, we have some of our biggest programs in April. Our giant, collaborative party, Battle of the Books, preschool visits, Chick Central, etc. I hate our copier. It is EVIL. Under the sea is our huge collaborative party. About 200+ people came - our door counter said 383, discounting regular library attendees and people going in and out, probably about 225. Only 22 people at Lego Club...but almost all brand-new attendees! They will be back. Puppet Story Theater - I usually get 1-2 performers for our kindergartens every year. As you saw last week, one of our kindergartens got the date mixed up and came a week early, so I only had one kindergarten this week. They were an amazing audience - really clicked with the show. It's kind of a strange feeling but I realized that, for the first time in years, I have no major project on hand. I told our cataloger this and she spontaneously replied "OH NOOOOO" I promised I wasn't going to do any more major projects, especially involving cataloging or relabeling. Unless, you know, they're really shiny. I think I'm going to reorganize all the Legos. Finished going through all the easy readers - made lists of paperbacks, needed replacements, and to weed and pulled all the nonfiction to be relabeled. I did not actually weed more than about 10 because I have no money for replacements. This is why reader's advisory is complicated. I had a parent who wanted a read-alike for Shiloh and a child who wanted Captain Underpants. I gave them Winn-Dixie and Korman's Swindle, which the older child chimed in that it was great. Then the older reader wanted books as well - voracious reader, loves manga and fantasy/adventure, but the parents do not want anything with spirits and Harry Potter is out. I gave her Sherlock Bones and discussed several possible manga series and then Ingo and a couple other things. Movie for family movie night with a 2, 4, and 6 year old. I was trying to fix my computer at the time and most of our movies are in a huge mess being security tagged - I couldn't find My Neighbor Totoro, which was what I wanted to recommend, but I gave them Wallace and Gromit. Small child who wanted Power Rangers and Teenage Mutant Ninja Turtles books. I went through a lot of different things and he ended up with Lego Ninjago and Lego Chima comics. Where is Dinosaur Vs. Potty? Second time we have gone looking for it for the same little girl who left in tears because we couldn't find it. Both names of the creators sounded familiar, but I had to look in the back to realize that David Elliott did the poetry picture books (On the farm, In the sea) which I love to use in storytime and Lori Nichols did one of my favorite new books, Maple, and the sequel, Maple and Willow Together. So, I had high hopes for this book and I was not disappointed. It is adorably fluffy and funny. Orq loves his mammoth, Woma. Unfortunately, Orq's mother is not quite so enthusiastic. Orq tries to teach Woma tricks to endear him to his mother, but they all go disastrously wrong. Finally, Woma manages to do something heroic all on his own and is welcomed back into the cave....sort of. 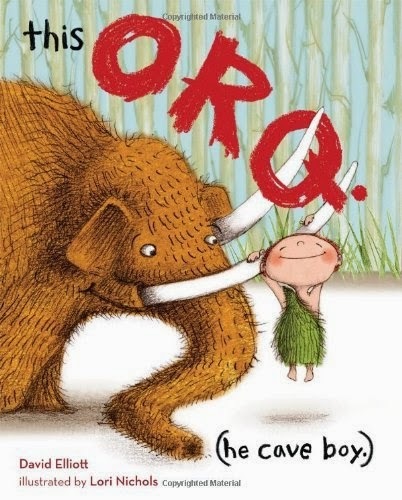 Elliott does a great job using "cave boy speak" to great humorous effect and kids will be laughing hysterically over this one. Verdict: This is going to be a hit in storytime and a new favorite for kids at my library, especially anyone whose parents have ever complained about their pet! Highly recommended. I requested a big stack of easy readers to look through, primarily titles that seemed to be series. When this one came, it was fairly obvious it was a tie-in to a tv show, but it took me some research to find that it was a Canadian tv show based on Dav Pilkey's Dragon series. This normally isn't at all the kind of thing I'd review, but I did have some thoughts on it after all. Dragon, a lumpy clay figure who looks rather more like a dinosaur than a dragon in my opinion, is having trouble with the winter weather. His hat blows away and he falls down on the icy yard. So he puts on a helmet instead of a hat, thick ice skates, and tries again. He's still unsuccessful until his friend Beaver suggests holding onto a chair to practice and soon he's skating on his own. 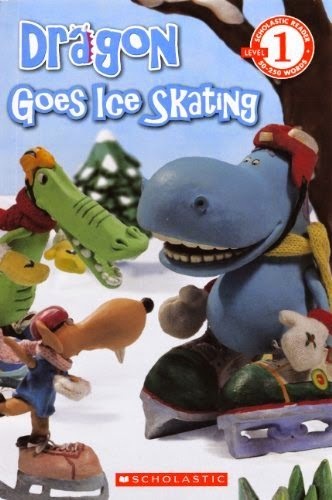 He then plays a game of hockey with his friend Alligator, more friends show up and they put on an ice-skating show, and the story ends with a little moral. "Dragon still fell down sometimes. But he always got back up!" Stills of the tv show are laid out like photos in blue-edged frames. The background of the pages is light blue with a snowflake pattern. There are a couple full-spread images with the text laid out on the clear patches of ice. The text itself is a subtle dark blue. The background images are light enough not to distract from the reading but the font is a little smaller than I'd normally see in a beginning easy reader. The images aren't very attractive; claymation needs movement to bring it to life and the pictures mostly just look lumpy and and out of focus. The particular book I'm reading is from a prebound company and this is one of the reasons I won't purchase their products - the cover is much lighter and more attractive while the interior art looks like a poor photocopy. This may or may not be due to the prebind company, but the close gutters, which cut off large portions of the artwork, certainly are. Losing parts of the frames around the pictures is very distracting. Sure, the book will probably last forever - but why would you want it to? As far as I know, the tv show is no longer aired, if it ever was in the US and I'd rather this dingy book fell apart as soon as possible so I could purchase something more appealing. 2014 is the 100th anniversary of World War I, so I've been seeing a lot of WWI books coming out. Why you would want to commemorate a horrific world war I'm not sure, but it is what it is. This is a picture book featuring a popular topic, animals in war. 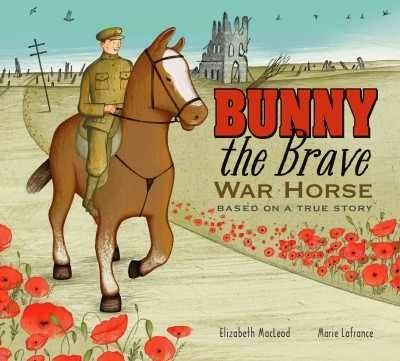 It's based on the true story of Bunny, one of the horses used in World War I. Bunny was a police horse chosen by the army. He and his rider, Bud, survive poison gas, help move supplies and wounded men, and pull cannons. After Bud is killed, his brother Tom is given Bunny and together they suffer the privations of war; Bunny is so hungry he eats his own blanket at one point. Bunny proves himself to Tom and the other soldiers and eventually the war is won and Tom returns home. Bunny, however, like all the other horses is left behind with farmers in Belgium. A brief history of World War I, the 9th Battery, horses in war, and the end of war and the fate of the horses is included in the back. There are no sources listed or anything to delineate the difference between historical fact (which is apparently very thin on this story) and the author's imagination. Lafrance's illustrations have a friendly, cartoon feel to them. The people look like wooden dolls and the battlefields are remarkably tidy. Review suggest this as a good introduction to World War I for young children; it doesn't shy away from the death, but the pictures and story are sanitized for younger readers and there is no blood or graphic depictions of violence. Which, frankly, to me makes no sense. Why would you want to introduce the concept of world war to a six year old anyways? Bunny always looks sturdy and healthy, even when he is starving. The battlefields are as orderly as a well-groomed park and the soldiers all look reasonably healthy and in good spirits. Verdict: My review of this is pretty much personally biased. This is, in my opinion, a completely inappropriate introduction to a horrific war. I'm doubtful about the need to have books on world war for very young children anyways, but I certainly wouldn't recommend this one. The completely sanitized pictures convey nothing about the realities of war and make it look like they're going for a little vacation in Europe. This is just my opinion - many other review sources thought this was an excellent introduction to the war for young children. I won't be purchasing it for my library though. Back to work. My desk was not as messy as I thought it was. Apparently we had a super busy week last week - we surpassed all our circulation goals, we broke 3,000 in picture book circulation for the month (a first!) and the children's area looked like a tornado went through it. It was awesome. I also had a patron compliment me on the gardening books I suggested last time they were in - they used them to plan their whole garden! My associate did amazing displays which I will be posting with our Under the Sea party in a few weeks. Nobody came to Preschool Interactive, but we did finalize summer reading plans on Wednesday. One of the reasons I have no desire to move up the management ladder is my extreme dislike of phone calls. I made multiple back to back phone calls on Thursday morning. UGH. Need chocolate to recover. Thursday was just annoying, from endless phone calls, to discovering I'd put the wrong time for next week's huge program on all the flyers that had already gone out, to not giving my associate enough information for a project and wasting her time (sorry again Jess) to the massive thunderstorms that dropped attendance at mad scientists club. All compounded by very little sleep the night before. Le sigh. Ok, well that was an...unexpected development on Friday. I have a performer coming NEXT Friday and one of the schools got confused and showed up this morning! So instead of the 15-20 kids I was expecting for Favorite Artist, I suddenly had 100! However, it could have been a lot worse and I was able to adapt fairly easily. Luckily Mo Willems is one of the only two favorite artist programs that uses printables and no paint! The staff and my director stepped up and ran copies and collected every bottle of glue, crayon and marker, I did storytime and I was totally on fire, and then they colored pictures and made paper bag puppets (and I had enough paper bags!). Also, only one school got confused - if I'd had 200 kids I don't know what I would have done! Then the school was having a read-in so that was pretty crazy that evening with everybody demanding books. Saturday - the local ham radio group came to demonstrate and do a "kids' day". I think maybe 20 people stopped by and that's probably generous. The weather was gorgeous and Saturday programs are hard to get people to come to here. Still, they seemed to enjoy setting up. I mostly worked in my office and then did periodic rounds to encourage people to go over there. Talked about the new American Girl, Grace with some girls who are fans. Picture books about blended families - drew a blank and asked on a listserv. Will be compiling a list later. A toddler mom mentioned she was reading chapter books aloud and was thrilled to find out there were Little House chapter books and I also recommended Daisy Dawson. Wimpy Kid hard luck - checked out so I offered Big Nate or Nerds. He went with Big Nate but said he might try Nerds later. More read-in. More and more and more! I usually like my picture book art a little stronger and more definite than you get in the lighter colors and lines of watercolor, but when I saw this my first thought was "Ernest and Celestine!" and it does have the feel of that sweet, classic series. The endpapers echo Bear's striped shirt and give the book a summery, beach feeling before it even begins. The story opens with Bird waking Bear up to celebrate his birthday with a special present. They share breakfast and then decide to go visit Bear's other friend, who looks just like him. They check the weather, pack a picnic, and are on their way. 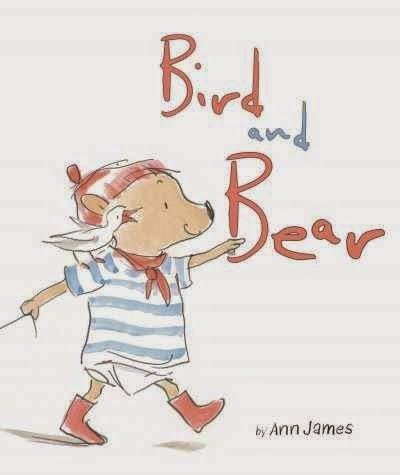 When they arrive at the pier, they are delighted to discover that not only is Bear's friend there, but also a friend for Bird, who looks just like her too! When it turns out that their "friends" aren't exactly what they thought, there is some initial disappointment, but they both recover and eventually make their way home, discussing the nature of friendship and making plans for their next outing. The art is arranged in small vignettes, a single page or even smaller two, three pictures on a page. Each shows Bear and Bird together with a few simple props or sketches of the surrounding scene. Although we only catch glimpses of the surrounding landscape; a park, the beach, a flight of steps, those few simple lines and washes of color capture the simple joy of a sunny day outdoors with a friend. I especially love the skillful way James' illustrates the water, with multiple colors swirling through its ripples. Verdict: I wouldn't make this a storytime pick; the illustrations need to be viewed closely to catch all the delicate nuances and it's a slow, sweet story that isn't likely to hold the attention of a big, restless group. However, it would make the perfect, treasured one-on-one reading experience for a family or for a very small storytime with good listeners. It would also be a great way to introduce the concept of reflections for a science program. A lovely story, strongly evocative of the enjoyment of simple things. I was skeptical about the first title in the series; it just seemed a little too quirky. However, I've gotten more into the series since then and really enjoyed this one, although I do still have a few reservations. 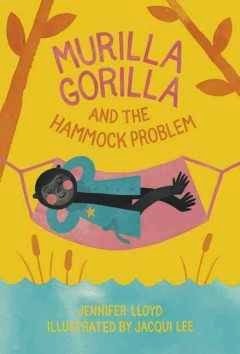 Murilla Gorilla's latest investigation is told in six brief chapters, suitable for an intermediate reader who has some fluency but isn't ready for full chapter books yet. There's nothing but a stinky old shoe in Murilla's refrigerator, so she makes a trip to the market. Right away, she hears Okapi has a case for her. She makes her way through the market, greeting friends, until she reaches Okapi's hammock stall. The mystery: One of Okapi's hammocks has a hole in the middle! Murilla looks around with her magnifying glass, observes the scene of the crime, and writes down her clues in her notebook. Soon the trail leads to the river and Murilla must disguise herself to find the culprit. Murilla has solved the case, now she just needs to finish her shopping. I really love Lee's artistic style. It has a clean, modern feel but with exciting colors and distinctive images. The endpapers show a pattern of Murilla in several poses and her crocodile friends fishing and swimming, all set against a bubbly light blue background with smiling blue and orange fish. Much of the deadpan humor in the series comes from the art, like the sequence where Murilla takes out a mirror instead of a magnifying glass, then detects her own foot. My main reservation about this series is that it's set in the generic "African Rainforest". I can see where the creators didn't want to specifically identify a country, but there are so many books that kind of lump all the vast variety of cultures and landscapes into one "Africa" that this is bothersome to me. My other reservation is just that this is different - the setting, art, and even the text flow a little differently than the average easy reader. Kids learning to read at this stage generally are focusing on the mechanics of reading, not the content. Verdict: Despite my reservations, I do think these are lovely books that would appeal to strong intermediate readers. They're adorable and quirky and kids who love mysteries, animals and humor will enjoy these. They'll just need a little extra booktalking to get them into the kids' hands, since they're a little different than the average easy reader. Update - the cart looked kind of junky and my director wanted it replaced or removed, so Jess and I dug through the basement and found some old metal file holder thingies that turned out to fit exactly. We might paint or decorate the ends at some point, but it looks pretty nice as is. I was concerned that our YA fiction is not circulating well, even though I think the selector (our cataloger) is doing a good job. I think the placement of the new teen fiction - buried between shelves - was a big issue. So I stole a small table from the back of the teen area, salvaged an old wooden cart that was going to be thrown out, and made a new area. Then my associate, Jess, queen of displays, made a big "READBOX" sign. It's working! Books are definitely checking out more! I was absolutely fascinated by Jarrow's Red Madness, but I had a hard time seeing an audience for it at my library. This newest title, however, for some reason strikes me as a much easier sell with the the more prominent mystery aspect. 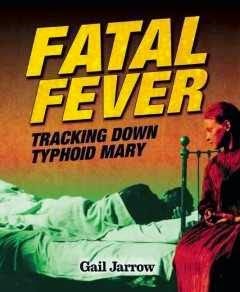 The book focuses on three characters who were pivotal in the fight against typhoid: George Soper and Sara Josephine Baker, public health officials, and Mary Mallon, who became known as "Typhoid Mary". The story moves back and forth between the confrontations with Mary and the struggle to decide what to do with the first known healthy typhoid carrier and Soper and Baker's fight to investigate, contain, and eradicate the deadly disease of typhoid. The final chapter talks about the continued threat of typhoid today and ongoing scientific study of the disease. Back matter includes a psa to remind people to wash their hands, a photo montage of famous people who suffered from typhoid, glossary, timeline including outbreaks, a lengthy selection of further resources for more information, an author's note talking about how she became interested in writing this book and her writing process, source notes, bibliography, and index. What made this, to me, so much more accessible than Jarrow's previous book (awesome though it was) was that the people in the story felt so much more immediate and relatable. It's also just a more engaging story overall - lots of elements of mystery and adventure with the added drama of death and disease. It was fascinating to see how Jarrow managed to portray the complicated issues of epidemics, quarantines, individual and collective rights from many different perspectives. Verdict: This was absolutely riveting and I think will be of interest to any middle grade kids who are interested in history or just an exciting story. Recommended. I got up at 11:30. I rarely sleep in, because my allergies don't like it, but it's nice every once in a while. And, fyi, I am not one of those insane people who get up at 5am in the morning. I get up at 7, which is a decent, normal hour, and occasionally 8 when I am working late. I got up at unearthly hours for most of my childhood and feel that I have Paid My Dues. I have vast piles of books and movies awaiting me, and so I am rereading paranormal romances and watching Justice League cartoons. And perhaps some Peg + Cat. Because I can. I read Nina Kiriki Hoffman's Thresholds, which I bought several years ago. I have to be in the right mood for Hoffman and I rarely review them because I love them so much. I can't be objective about her books, especially when they're very emotional for me sometimes. Sigh of happiness. I really did try to do some more laundry, but somebody else was using the machine...I left my baskets down there and will try again later. Trimmed and cleaned up the plants, mostly lots of amaryllis, in my bedroom, vacuumed, and dusted the bedroom. Carefully of course, so as not to disturb too many of the spiders. Finished cleaning out my closet. Read Meeting, the second book in Nina Kiriki Hoffman's Magic Next Door series. At least, I hope it's going to be a series - this second one came out in 2011 but Hoffman doesn't seem to have a really conventional publishing schedule and while the book doesn't exactly end on a cliffhanger, it leaves a lot of questions unanswered. Somehow I always seem to get sick when I'm on vacation. It's kind of depressing. Actually, I've been sick pretty much nonstop since January. I'm kind of depressed right now. But I started the laundry anyways, since I'd already hauled it down there. Pretty much spent the rest of the afternoon/evening doing laundry and feeling miserable. I got up even earlier at 9:30 this morning (see, what I'm doing there?) actually I was awake much earlier - my upstairs neighbor leaves between 6:45 and 7am every morning and is sort of my alarm clock. But I didn't feel like getting out of bed, even though I could hear my amaryllis complaining that they were missing the early morning light with the blinds down. Wrote reviews of Hamster Princess, Sprout Street Neighbors, Owl Diaries, Maybelle goes to school. Finished the laundry and Queen of the Flowers. Moving on to Raisins and Almonds and working on the difficult bits of the puzzle. Bought socks from Sock Dreams. My summer wardrobe is now complete. Did a sinkful of dishes. Wrote letters. This sounds rather Victorian, but I do try to write to a couple people very month, and I send my mom and sister tea or something small each month. This was for March. Technically it's still March. Had a sudden urge to clean the bathroom, but ran out of steam halfway through. Oh well. Got up at 8am, so full circle there. Actually, I would rather have stayed asleep but I gave up and got up. As long as I was awake and miserable I decided to make all the phone calls I had been putting off. Adulting. Sometimes I hate it. I put away the finished bird puzzle - it will go into the donations at the library, puzzles we usually take to the nursing homes, and pulled out the Ukranian eggs one I never finished. At least, I don't recall ever actually finishing it, although there were a lot of finished bits in the box. Cleaned most of the papers and stuff off my desk. 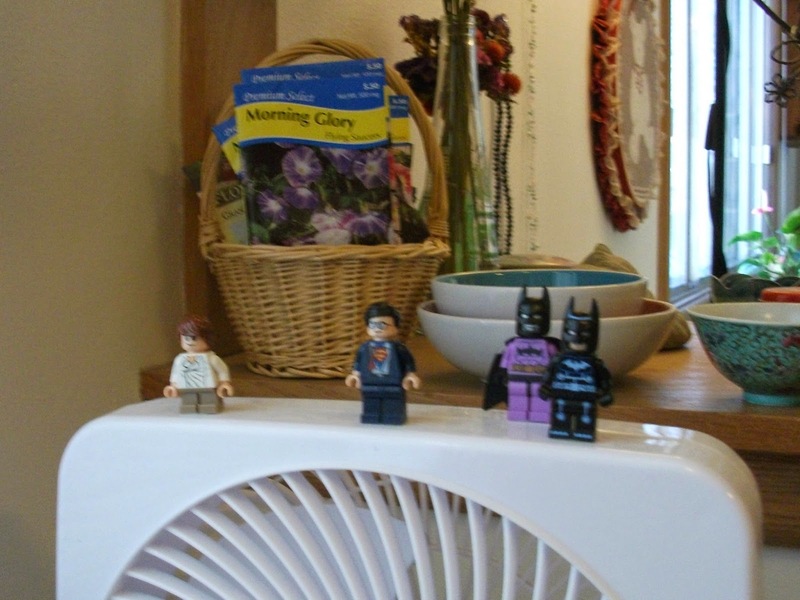 Finished listening to Raisins and Almonds and put away the last of the laundry. My friend came over and we hung out for a while. I got up at 7, realized I really, really, really did not want to be awake and went back to bed until 10, which is something I hardly ever do. Like, I can't remember the last time I did it. Great April Fool's joke - I was supposed to go to Chicago to the museum with my friend and I'm going to see a doctor this afternoon instead. At least we still went on an outing together...It's not really funny I guess. I have been sick for most of the past year and even worse the past three months with the "good" weeks shrinking into days and disappearing. I listed all the things I have stopped doing because I'm sick so often and realized I really can't live like this and my friends and family have gotten together in a "make Jennifer go to the doctor" coalition, so I'm going, really for true this time and even taking my friend with me so I don't chicken out. Meanwhile, in an effort to distract my mind, I got the Thrive Thursday post up, worked some more on my puzzle, listening to Ruddy Gore, finished the last of the dishes, and stared out the window a lot. The weather is actually really nice and I'd love to go for a walk, but I feel too sick. I read a big stack of picture book, finished watching Stella and Sam Bunny Hop, then watched Guardians of the Galaxy, the whole thing not skipping and it was hilarious and awesome and not angsty and emotional at all so they have finally made a superhero movie Just For ME. And went to bed. That was my day. Very Exciting. listening to the rain, and walking in the rain. Fooooog. Also, my bulbs are coming up fairly well. I mean, there are a LOT more down there, but if only a few come up I'm doing good. I went out for brunch with my friend, then went to the post office and the comics store. I got lots of comics...Lumberjanes, Princeless, Avengers Assemble, Batman '66, Princess Ugg, and I picked up the library's comics as well. We agreed to try our Chicago trip again tomorrow. Cleared off the to be reviewed stack on my desk - 15 books total. Took a break from reviews to go on a walk and write up a list post for Sunday. I like lists. We went on our delayed Chicago trip today. We left at 8:30am and my friend drove us to the train station while I read Curse of the Were-Wiener aloud. Then we took the train and I finished Were-Wiener and moved on to Princess Hamster. When we got to Chicago, we had lunch at French Market. I collected tea from Bello Teas and macarons and my friend got us croque monsieurs, lobster sandwiches, and roasted red peppers and pita. I already knew I don't like pita, but the roasted peppers were good. I tried lobster and it was not for me. Sadly, we discovered the macarons looked a lot yummier than they tasted, although the lemon and raspberry ones were ok.
Then we took a taxi over to the Field Museum. My friend is in charge of taxis because they are not a thing I like ever. We went primarily to the Field Museum to see the fairy tale house, which we saw and it was amazing. We wandered around a little after that, but it was absolutely crammed with kids on spring break and I don't do well in massive, teeming crowds (especially if there is simulated thunder every five seconds...) so we didn't stay more than a couple hours. We walked around outside a little, but there isn't really much there to see besides the museum (or if there is we didn't find it) so we took a taxi back to the French Market. 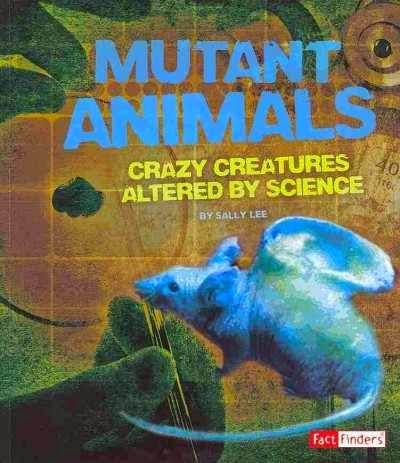 We bought chocolate, caramel popcorn and strawberry hibiscus tea (me) and fancy cheese (my friend) and then took the train back home, during which I finished Princess Hamster and started Case of the Toxic Mutants. Then we went and had chinese food at our favorite local restaurant and read SLJ. I woke up at 4am wondering what the heck that incessant tapping was. When I finally actually got up at 8:30 I realized that it was the cord to my blinds...I forgot that it taps against the window when it's open! Yay spring! Projects for today - grocery shopping, purchase of pie for tomorrow (because I don't feel like making one), packaging of treats for staff who I left behind with mounds of work, vacuuming, and hopefully make progress on the puzzle as I am feeling quilting urges and don't want to put it away half-finished again. I went grocery shopping, purchased my pie, packaged treats, worked on my puzzle, took a walk, and did dishes. I made significant inroads on my overdue review - about halfway done. I also finished my nonfiction book for book club, various other reading and movies, and listening to Ruddy Gore. Now on to The Castlemaine Murders. Last day off...I wandered around in the morning watching movies and then went over to a friend's house for lunch (hence the pie) and didn't leave until 4pm. Finished my long overdue no flying no tights review! Yay! And that was my week of vacation. I was excited to see Julie Paschkis' new book for several reasons. First, because I love her books and her art and each new story almost always goes on my favorite pile. Secondly, because eggs are a Big Deal at my library. Thirdly, because I'm planning to feature her in my We Explore Art and Stories series this summer! This is the story of P. Zonka who doesn't lay eggs. She spends her time looking at the beauties of nature around her. When the other hens finally convince her to try egg-laying, P. Zonka does indeed lay an egg...and what an egg! Like nothing they have every seen before, holding all the colors and patterns she has absorbed from nature. A brief author's note explains the inspiration for the story in the Ukrainian tradition of pysanky, decorated eggs. I really enjoyed this story; it's a familiar trope (I thought immediately of Lionni's Frederick) but presented in a fresh, new setting with unique, gorgeous artwork. I also appreciated the subtle breaking of gender stereotypes, when one of the hens, Gloria, turns out to be a rooster. I love the way she adapted her art for this book - as you can see even in the cover, everything is round and swirling, just like a pysanka. 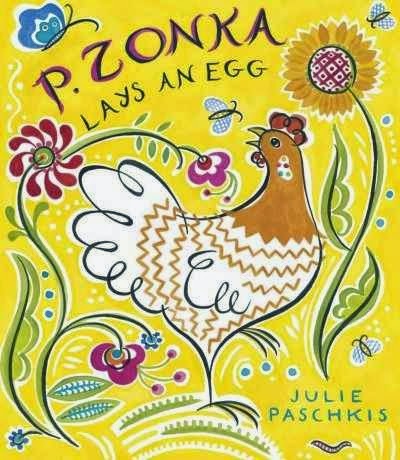 The chickens' feathers are squiggles and zigzags, the flowers curve around the page, the eggs are smooth ovals with swift, strong brushstrokes. My library paints eggs every year, usually right before Easter and I was interested to see how pysanky are created. The process is a bit too complicated for the size and age of my group, but I'm hoping to put up pictures as well as copies of P. Zonka as inspiration before the big event. Of course, my main interest is Julie Paschkis' art, since I'll be featuring her this summer. I read and watched a whole slew of interviews, including discussions of her art techniques, before deciding how to present her art. Paschkis uses several different techniques and her style changes as well, although her vibrant colors and the line of her work is always recognizable. I decided to go with a quilt/collage project, from a recent book called Mooshka which features a lot of quilts and with painting, emphasizing the swirling lines and stylized decorations of P. Zonka by giving the children stencils to draw pictures with which they can then paint in and around, giving them a little more structure. It's going to be a fun summer! Verdict: This would make a great Easter story, but any time of the year is perfect for celebrating art, imagination, and eggs! Highly recommended. I'm looking at two books from the I Am a Reader! series published by Sleeping Bear press today. They're recommended for kindergarten to first grade and are about equal to an I Can Read level 1. 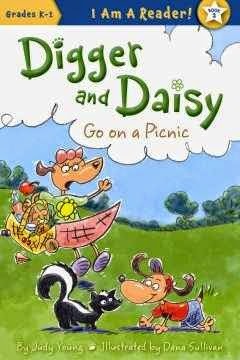 In Digger and Daisy Go on a Picnic, the quirky brother and sister duo start out enjoying the park be exhibiting their talents. Daisy is a good observer and Digger has a great sense of smell. This works out well when Digger's nose gets him into trouble and Daisy's sharp eyes get him out of it again! But when Digger's nose gets stuffed up with dirt, he's miserable that he can't smell anymore. What will clean out Digger's nose - and will he still smell good? (yes, there's a pun in there). 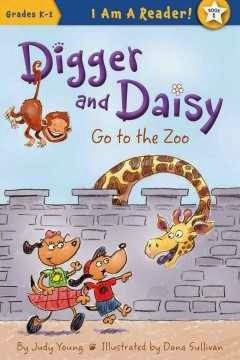 In Digger and Daisy Go to the Zoo, another wacky adventure is in store for the siblings. Digger tries to emulate the different animals by standing on one leg, climbing a tree, and eating leaves, but Daisy tells him they can't do those things and shows him what they CAN do. Finally, they discover something they can both enjoy, even if it's a little startling - cold water on a hot day and swimming in the pond. The illustrations are cute and cartoonish, with lots of humorously exaggerated facial expressions and funny animal antics. They're laid out as spot illustrations set around the text, which is in a large, easy to read font. I thought these were funny, but the plots were rather confusing. Why, exactly, can't these anthropomorphous dogs stand on one leg or climb a tree in the story about the zoo? It's pretty unusual to go jump in a pond at the zoo too - the silliness was a little too over the top for me. The first story felt like it was leading up to something with the contrasting Daisy sees things, Digger smells things but it just kind of petered out. Verdict: These are very affordable and although they didn't click for me - I like at least a little logic in my nonsense books - kids are likely to think they are a hoot and enjoy them. Recommended.